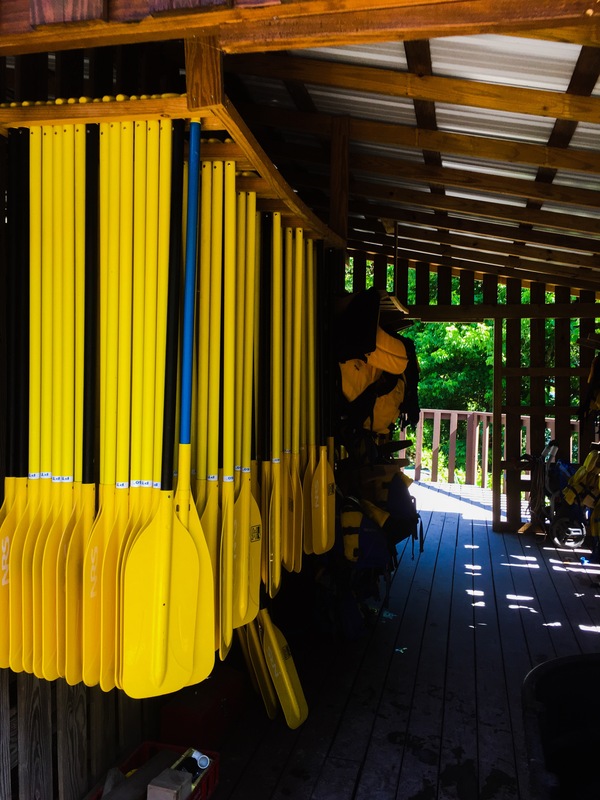 The guides are professional, experienced and friendly. 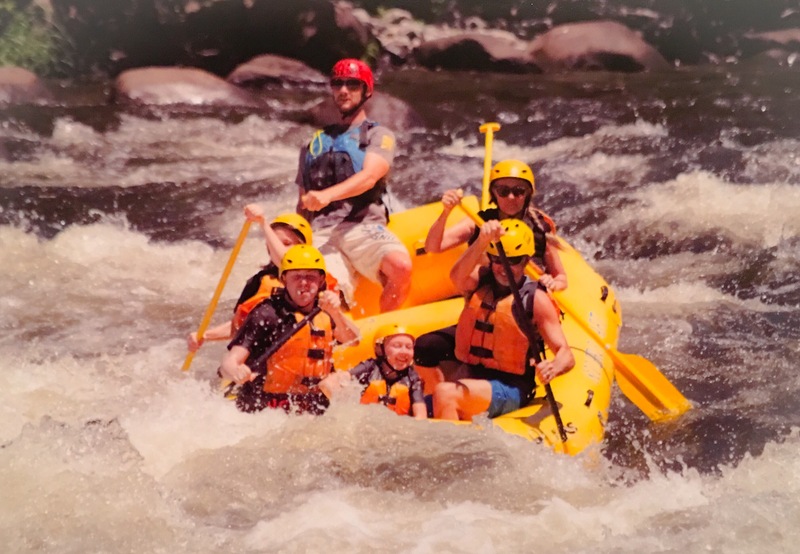 Our guide, Coleman, was a lot of fun. 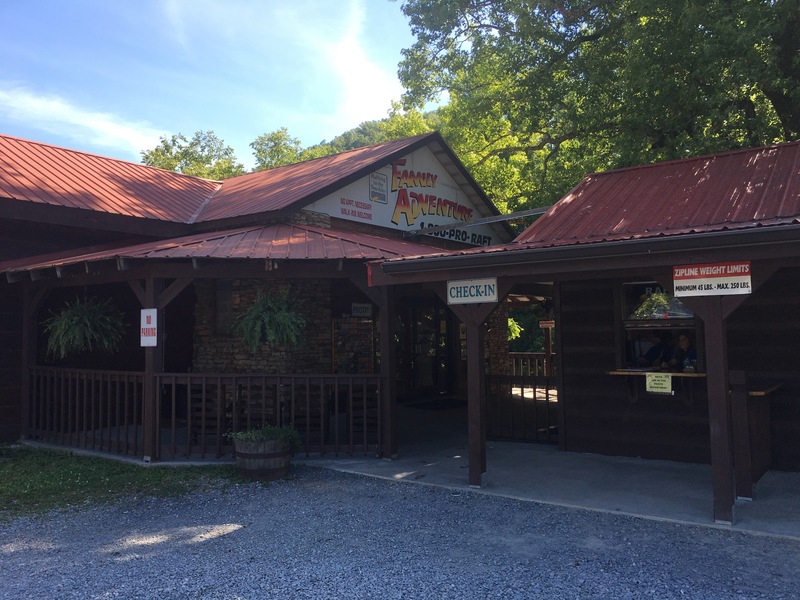 He grew up in the area and knows the Upper Pigeon River well. 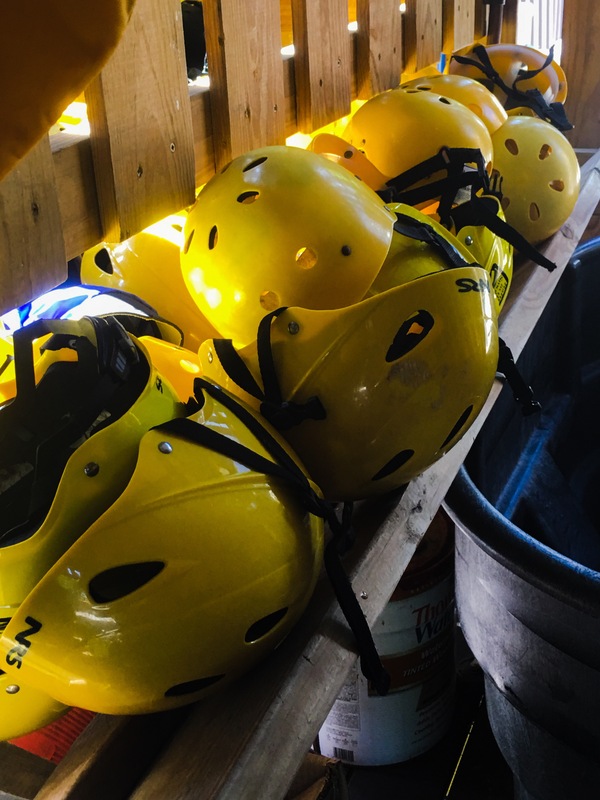 We got suited up for our rafting adventure with life jackets, helmets and our oars. 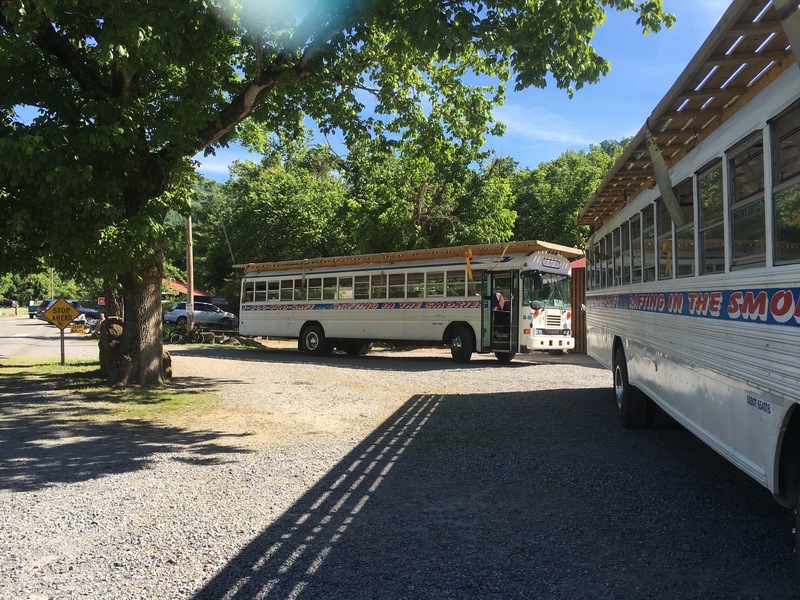 There was a safety meeting then we boarded the buses that took us to the beginning of the river right at the North Carolina-Tennessee border at the Dam which regulates the water for rafting from May thru September. 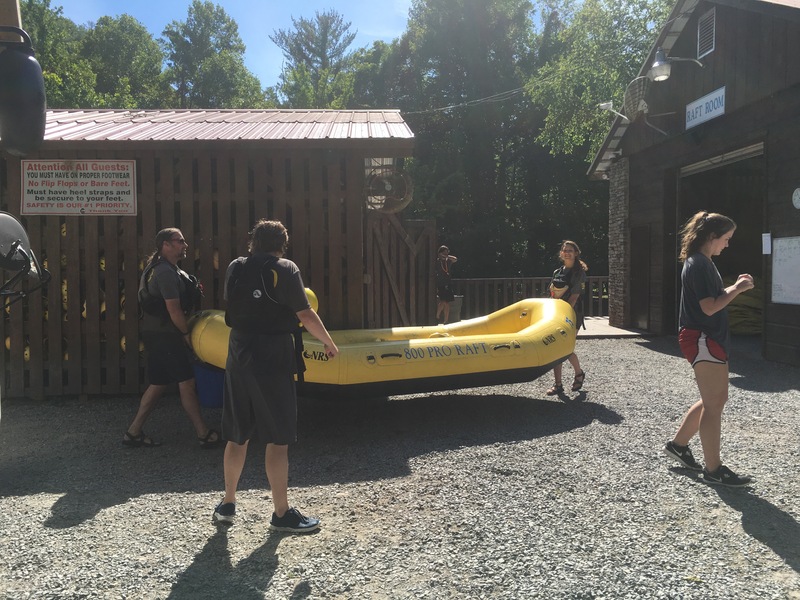 Once the guides get the rafts off the top of the bus we had another safety/how to instruction time then boarded our raft. 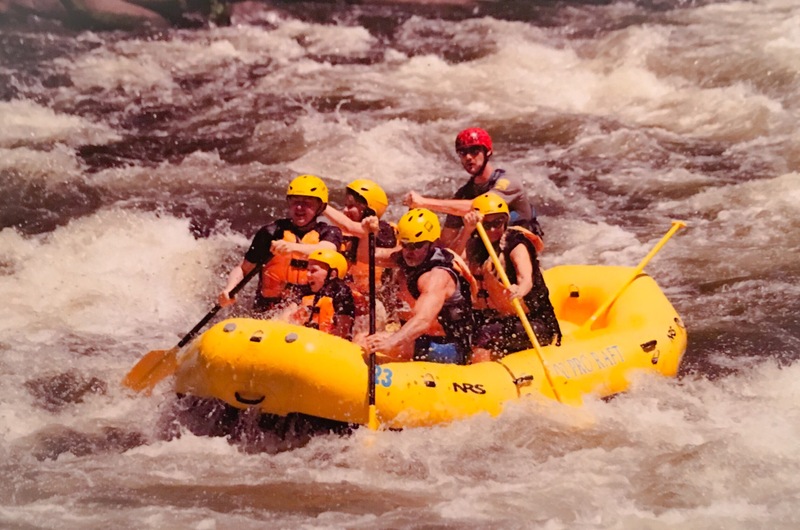 There were six of us on our raft including our guide. 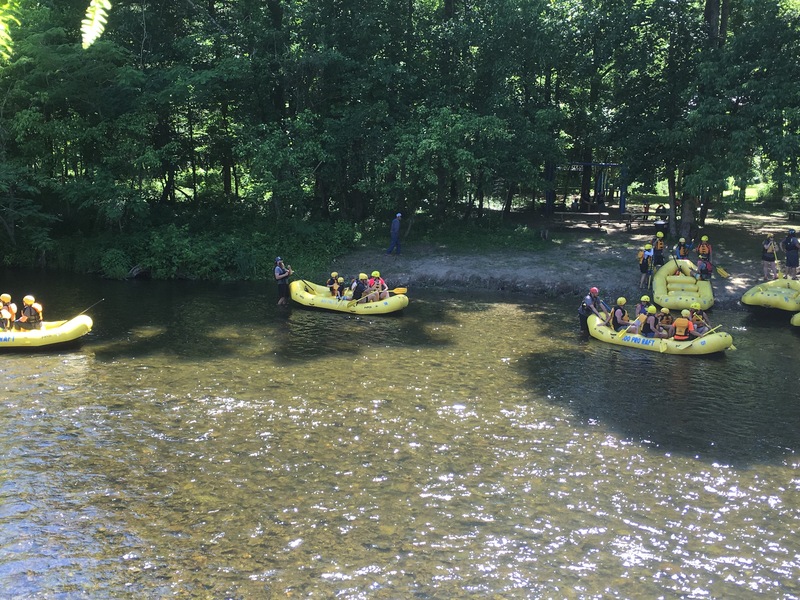 Along our route on the Upper Pigeon River we encounter 12 class 3 and 3 class 4 whitewater rapids. 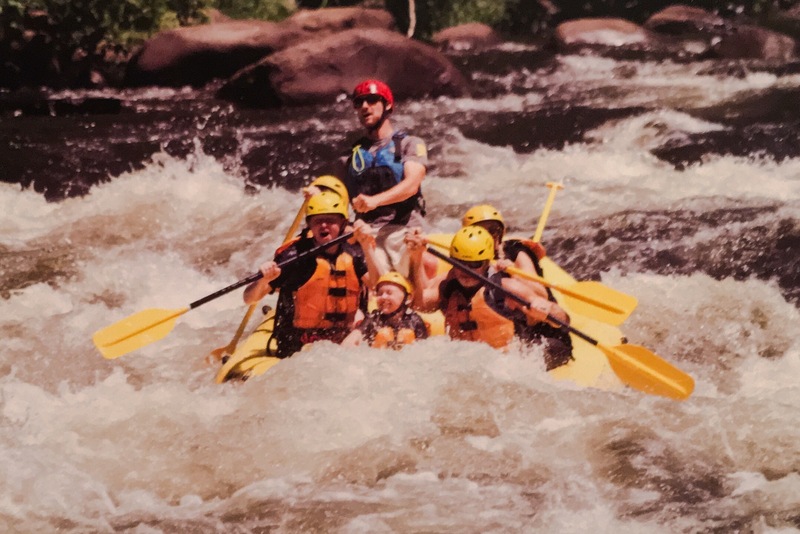 Class 4 being the wildest!! We got soaked and the water was cold- but it exhilarating. 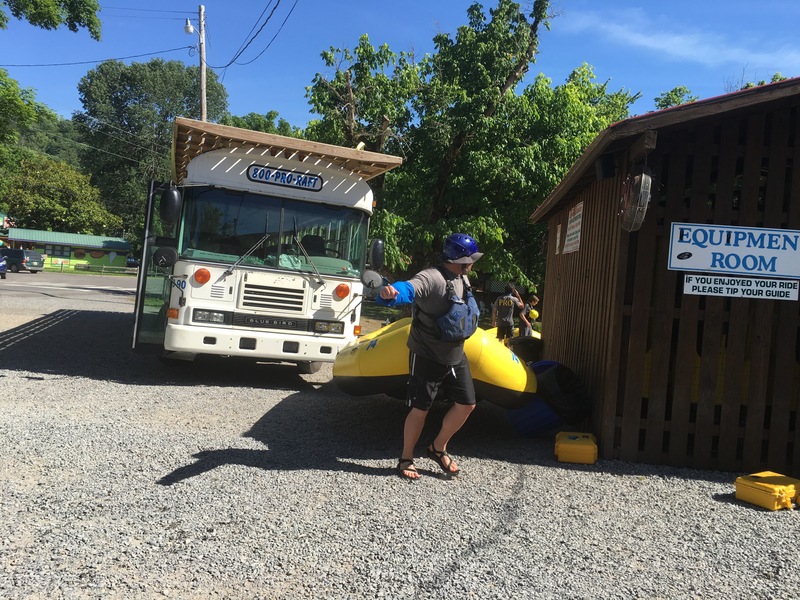 Our guide, Coleman, filled us in on the scenery and history of the area as we traveled down the river. 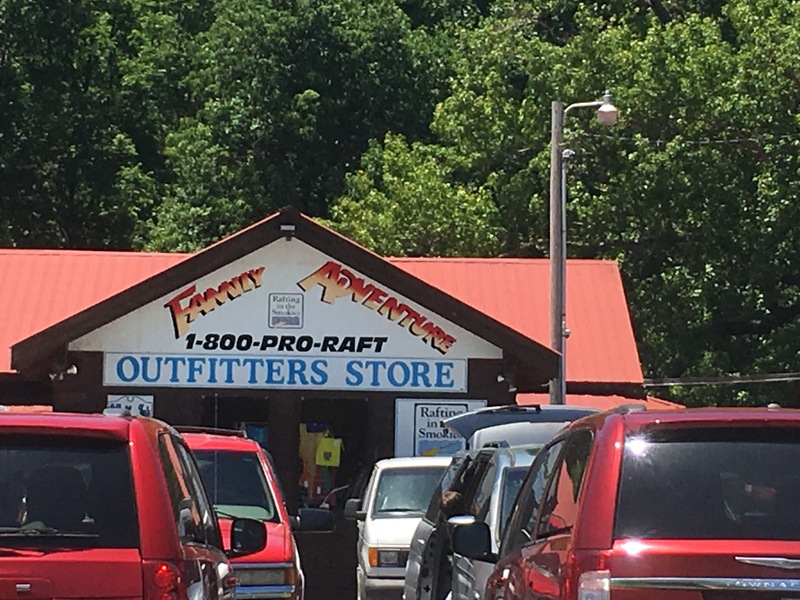 Even though I was apprehensive about going whitewater rafting, I have to admit it was a lot of fun! 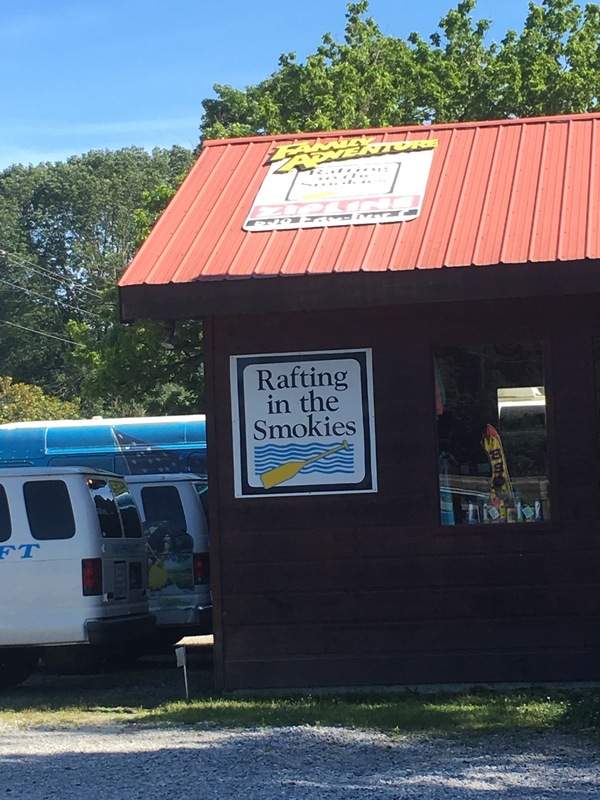 Here is the link to the “Rafting in the Smokies” web page which very clearly described the rafting experience. 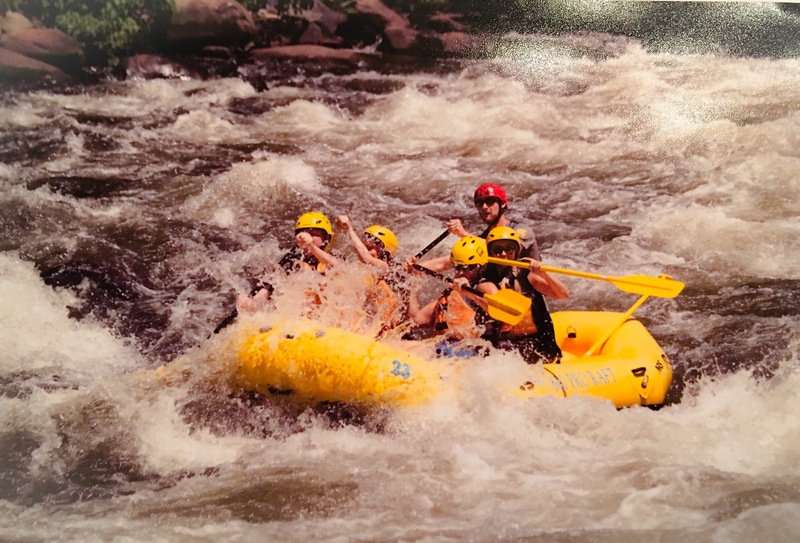 Would love to hear from you if you have also gone whitewater rafting – share your story ….. 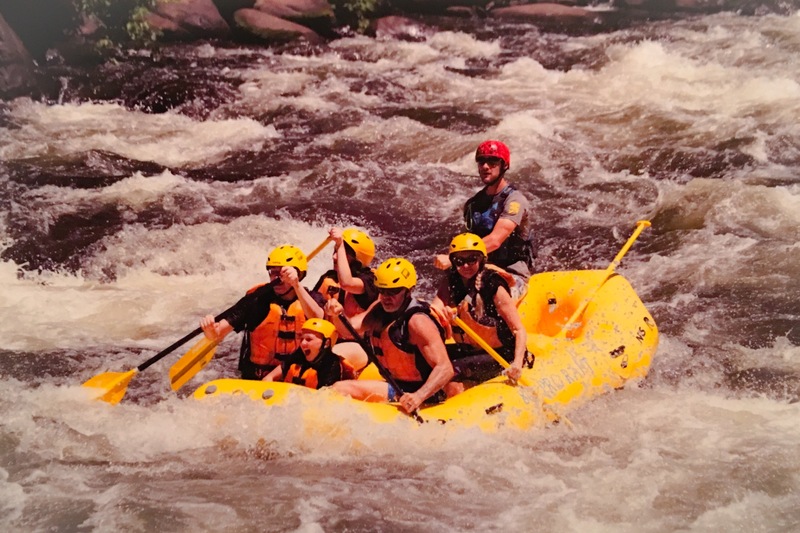 Here are some pics from our adventure….My husband, Cullen and I are on the right side of the raft in front.